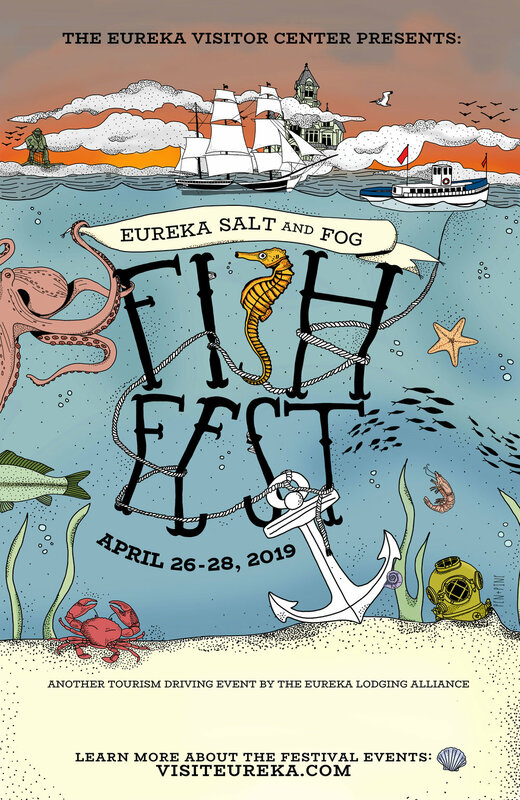 The residents and merchants of Eureka, on California’s north coast, invite you to celebrate the mighty Pacific Ocean and one of it’s most pristine inlets, Humboldt Bay, at the Eureka Salt and Fog Fish Festival. 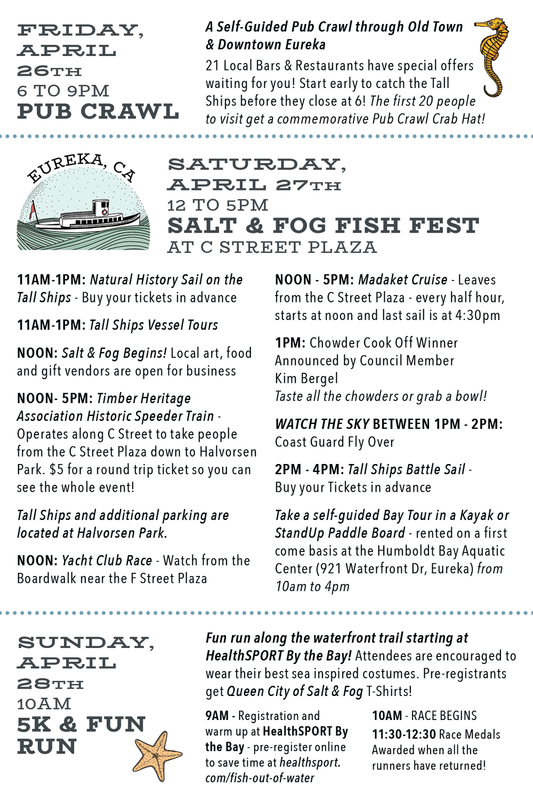 Situated along Eureka’s historic and picturesque waterfront, this three day event pays homage to Eureka’s seafaring and ocean-fishing heritage while showcasing it’s best restaurants and seafood vendors with eats and bites utilizing storied recipes and local, underwater ingredients: Dungeness crab, Kumamoto and Pacific oysters, Cabazone, lingcod, and red and black rock fish to name just a few; some of the freshest and most delicious seafood to be had anywhere on the West Coast. Foodies take note!